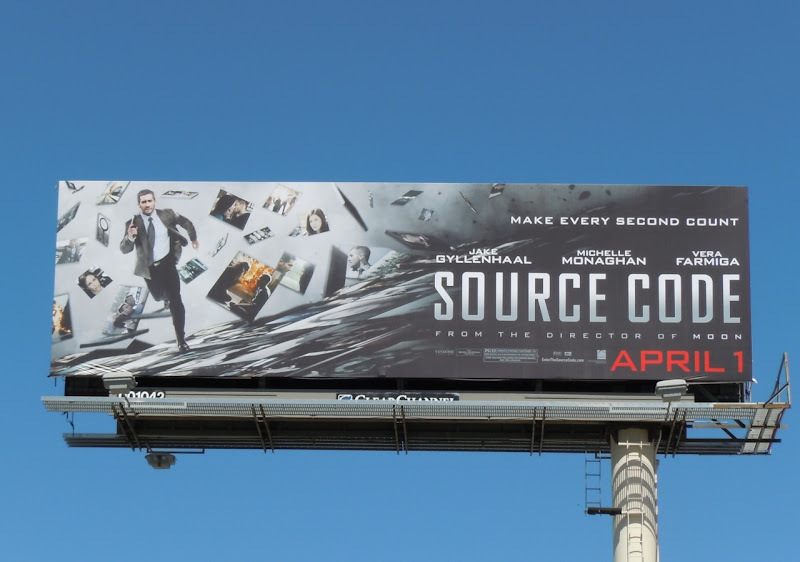 He's been a fantasy hero in Prince of Persia, now Jake Gyllenhaal is trying his hand at being a sci-fi action-hero in Source Code. This billboard creative for his new thriller looks suitably action-packed and really is quite visually interesting. 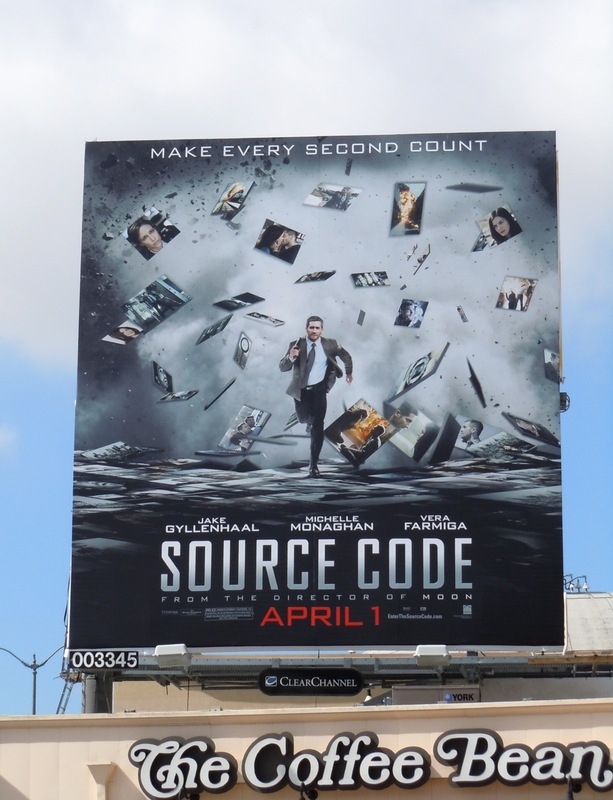 The squarer billboard was snapped along Santa Monica Boulevard on March 28 and standard format along La Brea Avenue on March 9, 2011.